Your face serves as a mirror to your personality. It is viewed as a reflection of who you are and what you stand for. That is why you need to keep your face looking and feeling its best at all times. We have helped countless women and men of all ages refresh and rejuvenate their faces with our time-tested facial treatments. Located in the Los Angeles area, Face of Jules offers you state-of-the art facials and other quality skin treatments to help you maintain and enhance your natural beauty. We only use 100% natural skin care products, and have developed our various facial treatments using a holistic approach. We have substantial experience in skin treatments, and understand what it takes to get your face in tip-top shape. Our aim is to strike a careful balance between maintaining your overall skin health and helping you attain your desired beauty goals. This is why we stand out as the premier Los Angeles facial spa. Schedule Your Facial Treatment Now! What Does a Facial Treatment in Los Angeles CA Involve? In a general sense, a facial refers to a set of skin care treatments that aim to clean, heal and rejuvenate the face, helping you look and feel great. The main facial treatments involve steaming, exfoliation, extraction, creams, lotions, face masks, massage, and pearls among other techniques. When you come to us for a Los Angeles facial treatment, we will carefully discuss your skin care goals, thoroughly examine your face and help you decide on the best course of action. We want you to feel as comfortable and confident as possible as we work to improve your skin. Why Do People Visit Facial Spas? 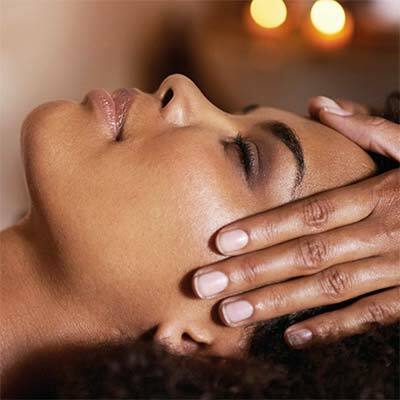 Facials have numerous benefits and most often produce exceptional results. The primary reason people typically undergo facial treatments near Los Angeles is to thoroughly cleanse their face and make it look as beautiful as possible. Many facials help in the removal of dead skin cells from the face, and also clean out pores and replenish vital nutrients that the face may be currently deficient in. Therefore, facials have in many ways become essential in attaining soft skin and young- looking skin. When the dead cells and toxins are removed, a young and bright-looking skin resurfaces. Facials can help you get rid of skin wrinkles, inflammation and sunburns, and will help your skin get back to its natural smooth state. In a nutshell, Los Angeles facials help you rejuvenate your look in all aspects. Face of Jules currently offers nine fantastic treatments for you to choose from. When you visit us, we’ll help you select the best treatment(s) for your skin. Glow and Go Facial – Our Glow and Go Facial is shorter than many of our other facials but has an incredible impact. The treatment starts with a steam pore cleanse and continues with the use of enzymes, in-depth exfoliation and extractions. At the conclusion of the Glow and Go Facial, we use a special serum and finishing product that enriches your skin with essential nutrients ($100 for a 45-minute treatment). Skin Food Signature Facial – This treatment produces quick and obvious results. Similar to the Glow and Go, this treatment incorporates a deep pore cleanse, enzyme application and extractions. What makes this particular facial special is the use of an oxygen serum spray that opens pores and allows them to take in all of the vitamins and nutrients ($150 for a 60-minute treatment). Shine Bright Like a Diamond Oxygen Facial – This popular facial treatment gives you all the benefits of our classic facial along with an additional 20 minutes of LED OxyLight treatments. This facial is extremely relaxing, great for healing and boosts collagen creation while simultaneously getting rid of detrimental bacteria ($250 for a 75-minute treatment). Signature Facial – With this treatment you get all of the benefits of the Shine Bright Like a Diamond facial along with a custom sheet mask that provides your skin with carefully-selected nutrients through the use of biosonics. This facial treatment also incorporates an eye and lip treatment ($350 for a 90-minute treatment). Diamond in the Rough Corrective Facial – This is a results-driven medical quality facial that includes either diamond-tip microdermabrasion or a microcurrent as well as a customized peel ($500 for a 90-minute treatment). Power Peel – This multi-step treatment uses a custom peel in conjunction with LED light therapy, pure oxygen therapy and a detox mask ($175 for a 45-minute treatment). Back Treatment – This incredible treatment will leave your back feeling fresh and rejuvenated ($120 for a 50-minute treatment). Gents Glow and Go Facial – This treatment is very similar to the standard glow and go facial, but is designed specifically for men. We have many male clients, and they love getting this treatment done ($90 for a 45-minute treatment). SilkPeel – This dermalinfusion treatment lasts for 30 minutes and involves taking off outer layers of skin painlessly as well as the use of serums to manage a variety of skin conditions ($175, or $275 with an Oxygen Facial and OxyLight). Come experience Los Angeles facials done with thoroughness and expertise. At Face of Jules, everything is done professionally. Promoting skin health and enhancing our clients’ beauty are top priorities. Give us a call at (310) 770-8730 to schedule your facial treatment now. Facials serving Bel Air, Beverly Hills, Brentwood, Burbank, Culver City, Echo Park, Glendale, Hollywood, Huntington Beach, Laguna Beach, Los Angeles, Los Feliz, Malibu, Manhattan Beach, Marina Del Rey, Newport Beach, North Hollywood, Ocean Park, Pacific Palisades, Playa Del Rey, Rancho Palos Verdes, Redondo Beach, Santa Monica, Silverlake, Studio City, Universal City, Venice, Venice Beach, West Hollywood and Westwood areas.